If you are intimidated by paint color, Donna Frasca has a recipe for you - a Color Recipe©, that is. You see, Donna is completely unafraid of color: she "cooks up" palettes by playing with her food - a great example of her imaginative and creative personality. So if nothing else, Donna will teach you how to have fun with decorating and coloring your home! Donna, what led you to pursue a career in interior design? All the jobs I've ever had were in the decorating or design field. I have experience and knowledge in just about every aspect from walls to floors and everything in between. I've worked for many design firms but always had my own business on the side. 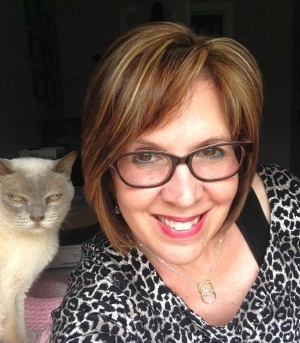 Owning my own business was the natural progression for my career path. What part of your work do you love the most? People invite me into their personal space and trust me to choose colors that they would like for their home. That's a lot of trust that someone puts in you. I'm glad I can make a difference in their life by choosing amazing colors for them. What is the biggest difference in how YOU see color, and how homeowners see it? I see color in detail. I can see how much blue a green has or if a red is too yellow. Clients see blue, and red. This is how I can choose the right blue for them or the right shade of red for their décor. When there are 1,000 shades of blue to choose, this skill comes in handy! 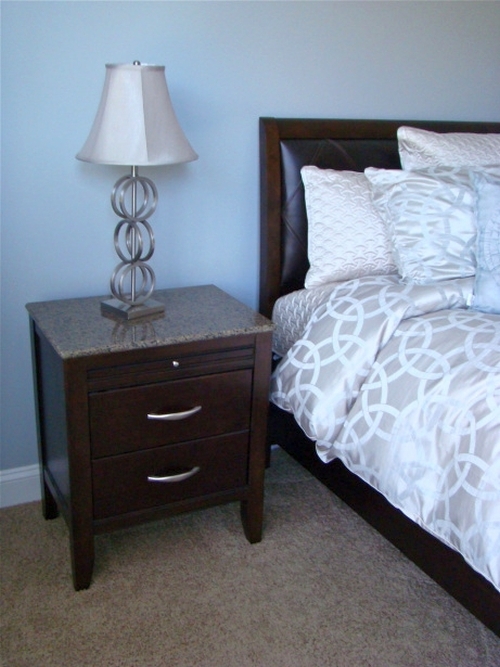 What is your signature decorating style? I don't really have a style. I have to be open to all styles so I can accommodate what other people want. I have to get into their heads and view their home to decide what style will best suit them. I think if I had a particular style I would probably have a tendency to use it over and over again in my clients' homes. This way, I have an open mind to what better suits them. What advice can you give to those who want to discover their own signature styles? Have fun with it! Look through magazines and cut out the pages you like. You can mix and match elements from each page and create your own style. 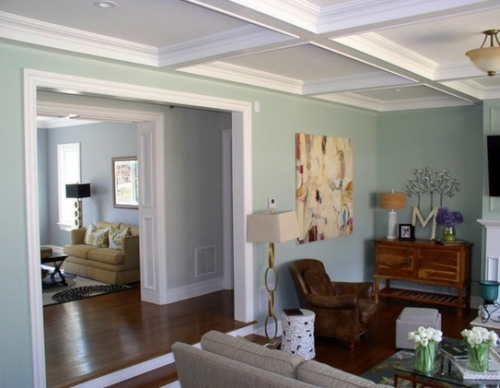 What's different about painting and decorating open floor homes (your specialty)? I’ve heard clients say that they don’t know where to start a color or where it should end. They’re not sure which wall would make a good accent color or even if the room calls for an accent feature. Rooms have to have a flow. When you stand in one part of the home and are able to see 5 rooms at once, you need to have all those rooms relate somehow in color and theme. You should see me at a consult – I have my paint deck open and I mark off the top of the page with a tag. By the end of the consult, the paint deck is all fanned out and has up to 15 tags on top. I have to refer to those tags throughout the consult to make sure the color scheme has a flow. How do you know when a color combination works? My body tells me: I get goose bumps on my arms. I don’t tweak colors once they are picked. 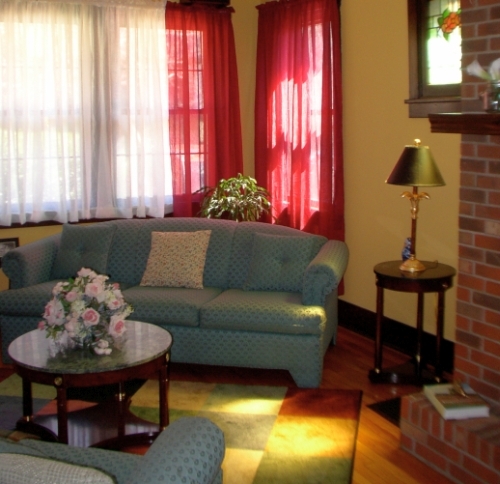 When I enter a client’s home, I usually have a color scheme mapped out in my head within the first 10 minutes or so. 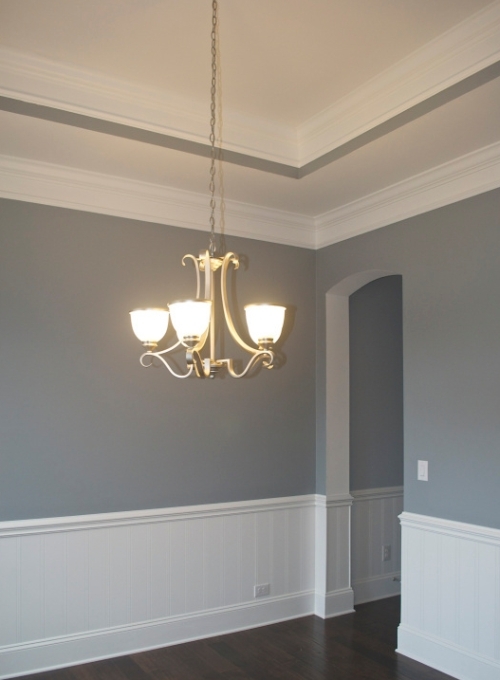 What is your process for specifying paint colors? The 1st step to choosing a color scheme is of course listening to the client. I ask what style or color they like but I can usually tell by the way they decorate their home. 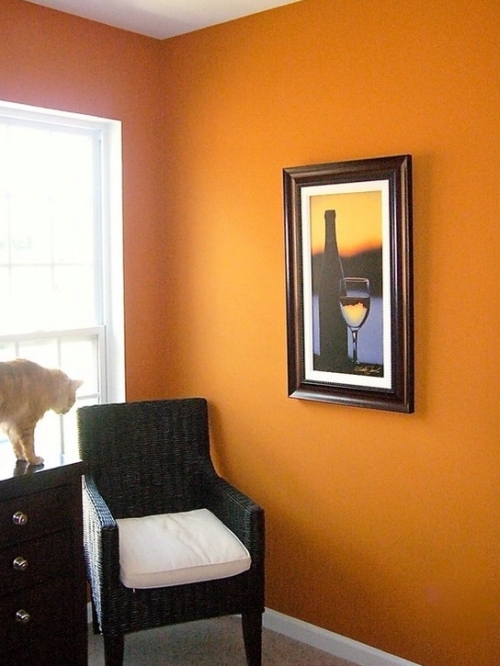 In most cases the clients don't have any color on their wall yet so it makes it easy to come up with a scheme. 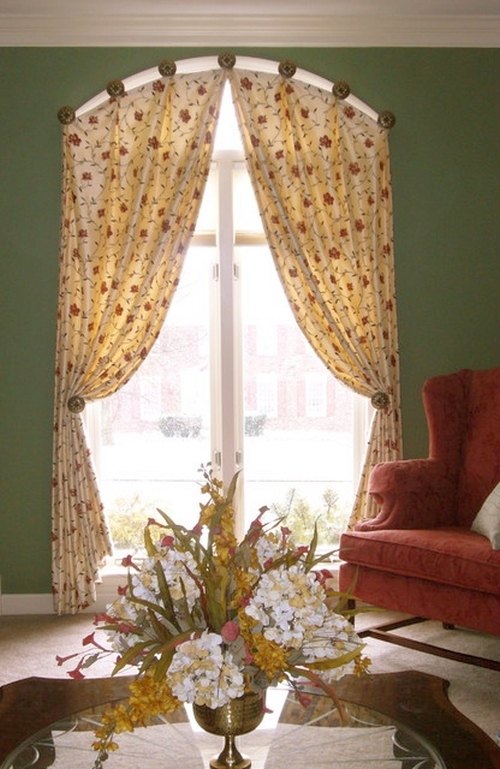 I then look around the room for a color inspiration piece or something the client really likes in that room. 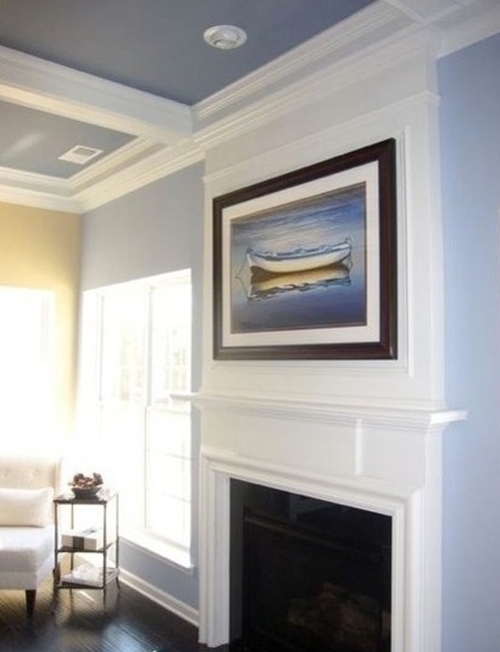 What advice can you give to move homeowners just a step closer to finding the right paint color for their homes? You can again refer to a color scheme that you like in a magazine and try to match up some colors from there but it can be tricky. If you don’t have the time or confidence, call a Color Specialist! I’ve seen so many clients waste their time and money picking colors and getting frustrated with their choices. I know they have a color in mind but it’s sometimes difficult for them to choose the right shade. Also, sometimes they get so nervous about their choices they play it safe and just paint with white or off white. 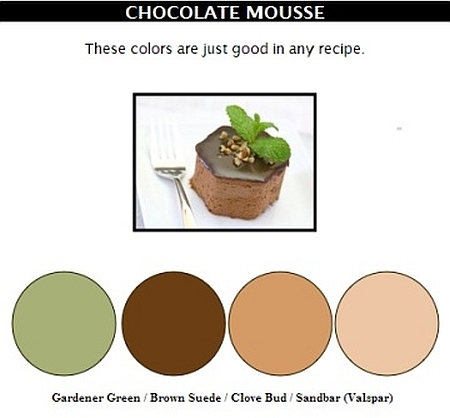 Tell us about the Color Recipes© on your website! How did you come up with the idea, and does it have practical application? My Color Recipes© are so much fun! Did this ever happen to you? You go to a restaurant, order your meal, let's say turkey with all the sides, then a few minutes later your meal comes out and it looks beautiful on the plate? It’s arranged just right, the colors are, well, good enough to eat and sometimes the plate has a decoration or two on it like a slice of orange or some decorative kale? Many of our meals make for a great color scheme. For instance, the cranberry sauce is a great shade of red, the green beans are a rich green and the turkey has various shades of brown and tans. 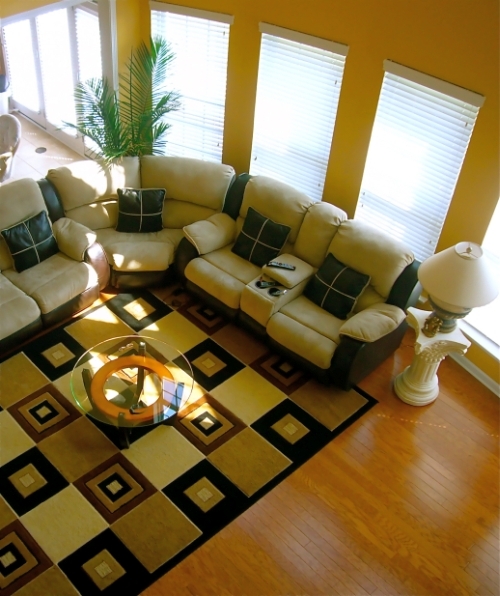 It makes a great color scheme for a living room. The red would make a great accent color by the fireplace and I would combine the green and neutral tans for the rest of walls. 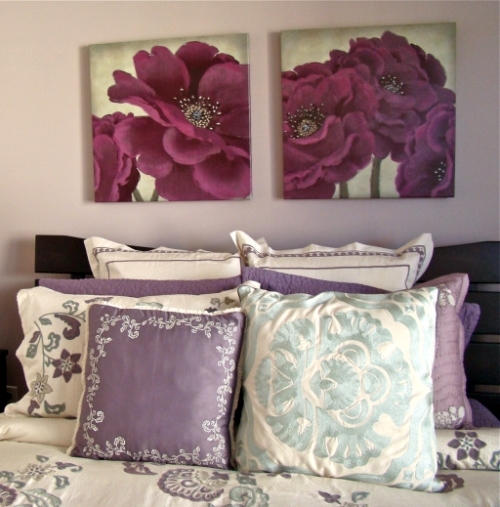 This is a great way to start a color scheme for your room. Just pull any picture from a magazine, pick up any piece of art in your home, look at the colors of an area rug you like. The color schemes are already chosen for you! I just like the colors found in food so I have a ton of recipe books that I refer to! I always say if it looks good on your plate it’ll look great on your walls! 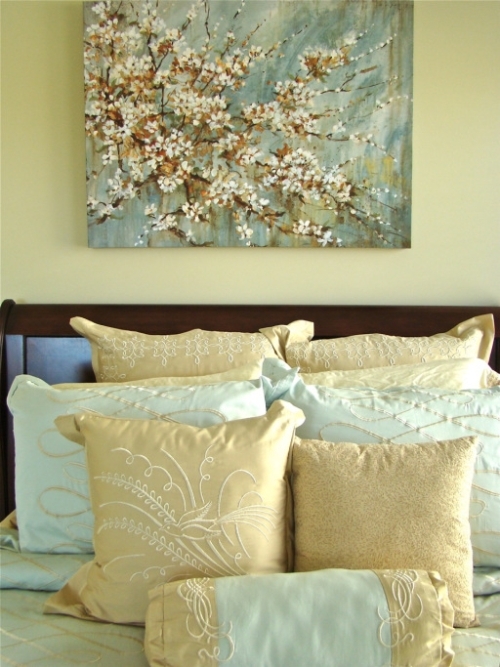 What is your biggest pet peeve in the current painting or decorating trends? It's when a color scheme or design is beat to death or just saturated in the market so much that every other home you walk into has the same color scheme. For example, brown/blue and brown/green combos. Although these are beautiful combos, they are old and tired already. If you really like these colors, just put your own spin on it. 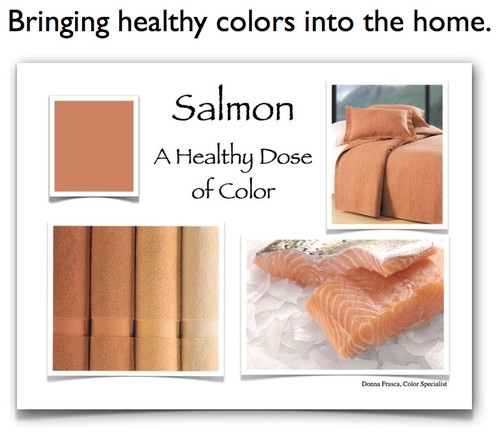 Try brown and salmon or blue and gray. Have fun with color! 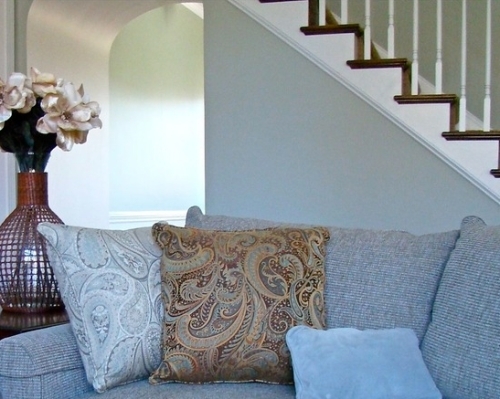 What is your home color and design forecast for the next 2 yrs? No one really knows what will happen in the next 2 yrs – experienced guessing at best. It was 2007 when I had a color forecast clear out of the blue. I was hanging some curtains in my new home and the fabric had a grape vine in it. I took one look at the beautiful shade of plum and said that was going to be the next trend, and it was and still is. A lucky guess. My design forecast is this. With the economy the way it is, people will have a limited amount of money to spend on decorating. They will be putting the emphasis on wall color instead of their accessories. Greens have been and always will be strong. Blues are a good runner up and there is still a lot of gold in homes. My home is mostly gold with cinnamon accents. What are your career goals and plans for the next 5 yrs? I like to keep it simple. I still would like to choose color schemes for the homes and business’s here in Charlotte, NC. Once you find a niche, it’s good to stick with it. 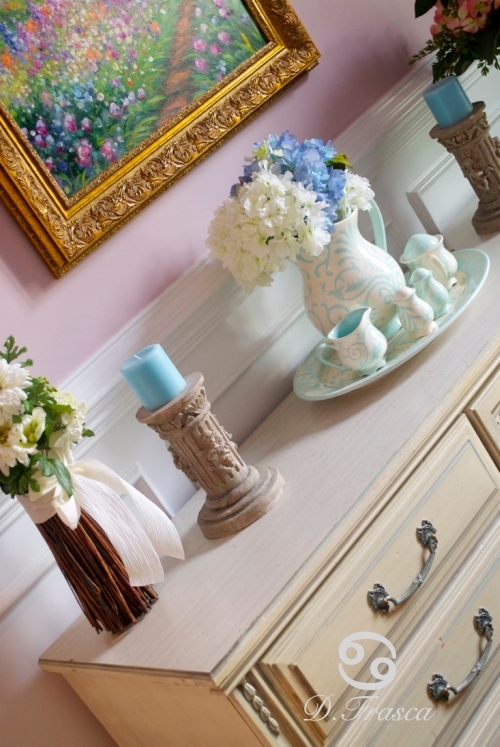 What is your secret to success as a decorator? Experience, talent, drive and a love for what you are doing. The designers coming out of college are book smart but to have over 15 yrs experience, what do they say, is priceless and it shows. 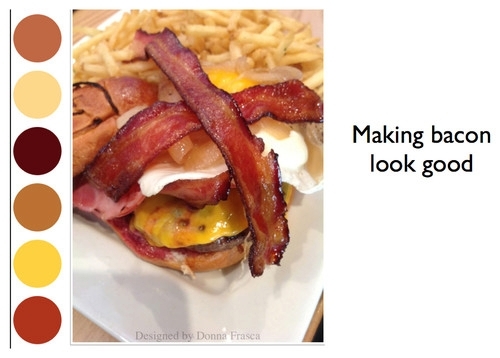 Good designers don’t happen overnight. They learn throughout a lifetime. What are the 3 things nobody knows about you? I can’t say, otherwise they would know (giggle)! Really though, there are no big secrets. 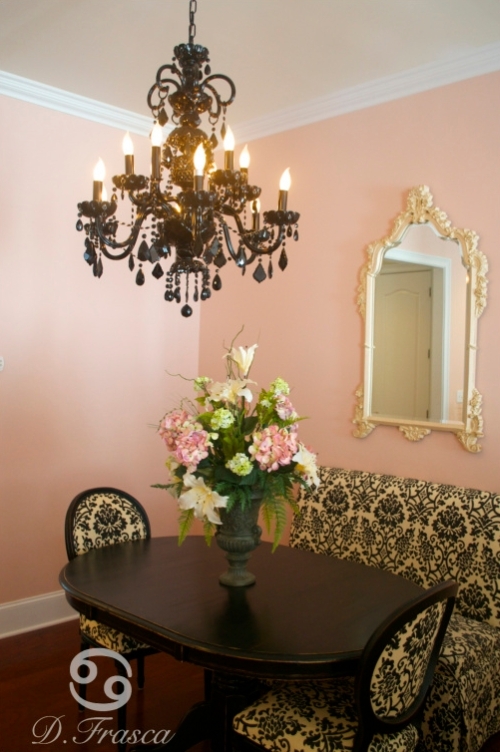 To hire Donna for a color consult, go to: DecoratingByDonna.com - she is located in Charlotte, NC and serves clients from Waxhaw to Mint Hill. Or stop by her blog for a daily dose of color fun! Yelena, you have the most organized website. So much information and helpful advice! Now, I'm going back to your other posts and soak up some more. 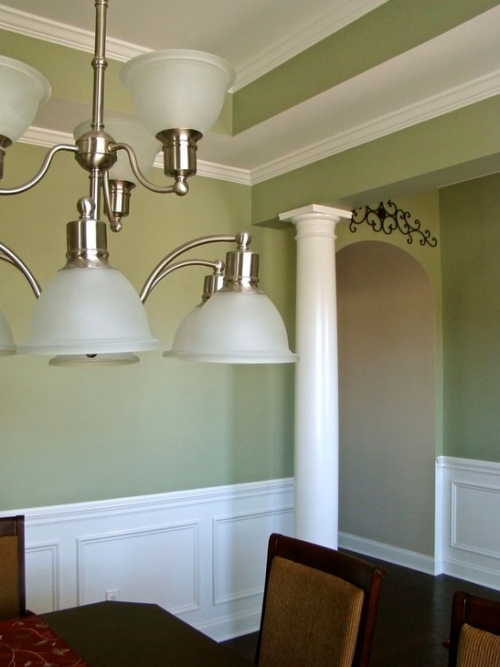 Return to Interviews With Paint Color Experts.